A total of 75 cyclers who are members of Bike for Africa on Sunday arrived in The Gambia from Belgium through Senegal. 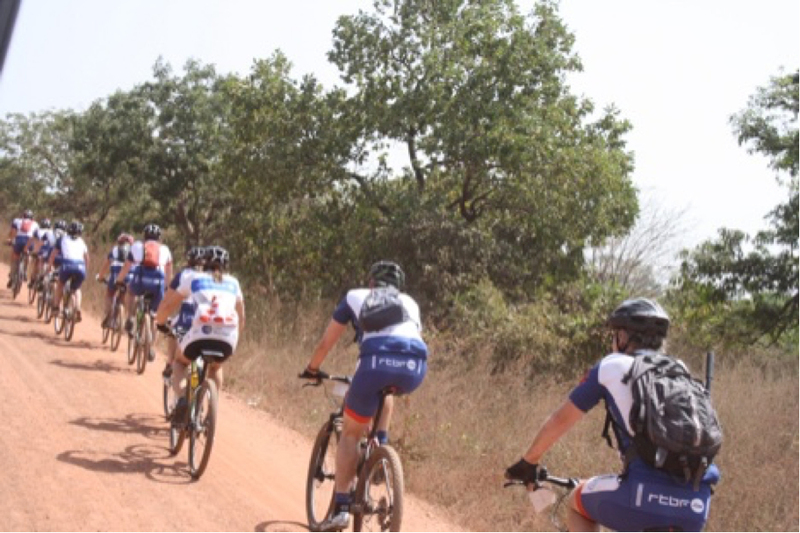 They were received on arrival at the Gambian border by officials of the Gambia Tourism Board (GTBoard) together with other tourism stakeholders.The cyclers were taken to Albreda and then to Foni Brefet. Abdoulie Hydara, director general of GTBoard, said the coming of the cyclers to The Gambia is another development for the country’s tourism development. He said Bike for Africa is very popular in Belgium and it happens once every year in Africa; this year it is in The Gambia and Senegal. “This is a very important event and it is made possible through our collaboration with one of our strong partners, SN Brussels Airline, which just celebrated 25 years of operation in The Gambia,” Mr Hydara said. GTBoard director general said Bike for Africa initiative is a humanitarian gesture but is also an important tourism product. He said the coming of Bike for Africa to The Gambia is part of the successes registered by the tourism stakeholders as part of the innovation that is taking place in the industry.